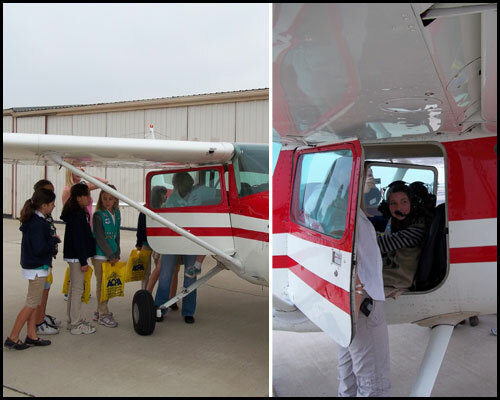 Aviation Day 2011 was a great success with over 45 girls and adults attending. Girls learned from the California 99’s Aviation group about the different kinds of air travel from planes, and gliders to hot air balloons as well as the history and heritage of female pilot’s in flight. Girls were able to sit in the pilots seat and listen to the tower, handled plane parts, toured a WWII plane and worked on the vintage Aviation Badge. Aviation Days are being planned for the Central and Northern Regions as well. **Check our Events Calendar frequently as amazing program events will be added throughout the 100th year!